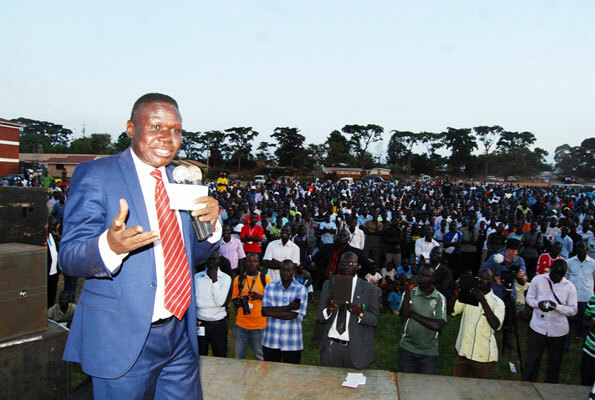 GULU – The Democratic Party (DP) is set to have a regional office in Gulu town in an attempt to streamline the party activities in Acholi and Lango sub-regions ahead of the 2021 general elections. Mr Justine Simpleman Obol, the DP spokesperson for Gulu district, said the office will coordinate activities of the party in Acholi, Lango and West Nile sub-regions. “We will be able to recruit new members and also sell the principles and the core values of the party to the population in the three sub-regions,’’ he said. He noted that a strong party structure is good for mobilization especially at grassroots level ahead of the general election. He also revealed that as the party tries to reunite its members, the offices will also serve as a ground to iron out outstanding issues that has affected the growth of Uganda’s oldest party. Recently, Kerobino Uma, the DP mobiliser for Acholi sub-region, revealed that in the last two months, they have been registering new members into Uganda’s oldest political party. Mr Uma says the plan to recruit new members was reached at during a closed-door meeting chaired by Mr Norbert Mao, the DP president. However, he did not reveal how many new members they have so far registered. The number of the DP supporters in Acholi, Lango and West Nile sub-regions are also not known. Uma also dismissed reports that DP is in the verge of collapse due to the internal wrangles. Currently, DP has only two members in the in Gulu District Council and the Gulu Municipality Member of Parliament, Lyndro Komakech for as the only MP elected from Acholi sub-region on DP ticket.